The Rambling Infidel: Is The Special One right for Old Trafford? Is The Special One right for Old Trafford? The Special One to Old Trafford. I honestly never thought this could actually become a possibility, since all previous links throughout the years were mere crazed tabloid speculation. This time the speculation seems legitimate, with the BBC first reporting a week ago that Mourinho was 'in talks' with United over replacing Louis Van Gaal. However, Sky sources understand Manchester United are happy with Van Gaal as the manager and plan on allowing him to complete his three year contract that he signed in 2014. For the purpose of this article, I am working under the assumption Louis Van Gaal will leave in the summer and Mourinho will be brought in as his replacement. This is not confirmed by any means but the current press speculation is so heavy especially with The Independent reporting that a deal has been agreed 'in principle'. In addition, there was reports of a 'dossier' authored by Mourinho sent to Manchester United outlining his plans for the club. It is fair to assume there has to be some truth to it. His appointment would be a show stopper, a good response to Manchester City landing Pep Guardiola as thier new manager. But, it could also reveal the United board are a little desperate as they really want United to be back challenging for trophies once again, not scraping for 4th place. Secondly, they do not want to fall behind rivals City. Thirdly, it shows that the last three years with two new managers, all the money on transfers has been wasted. Van Gaal's appointement in 2014 made it abundantly clear that United's medium to long term future was being considered. Presumably, the plan was Van Gaal would stabalise the club after the disatarous 2013-14 season under David Moyes, then his successor will be there for the long term whether Giggs or someone else. Nevertheless, this plan has not worked out, United have barely improved under Louis Van Gaal despite the fact he has spent over £200 million on players. They are nowhere near challenging for the title, instead they are struggling for 4th place which for Manchester United standards is nowhere good enough. The problem I have with the potential Mourinho appointment now is, it vindicates what the critics of United claimed and what United fans feared would happen in the Post-Ferguson era. United will be like any other club, stuck in a conveyor belt of manager after manager, each one failing to meet expectations. Instead of being the club that did things differently; giving managers a chance, looking long term and putting its identity, tradition and history over the money, greed and corporatism that currently corrupts Football. There would be positives to Mourinho taking the helm at Old Trafford. I have no doubt that United will get immidiate, short term success under Mourinho, he has a proven track record that is undeniable. He previously won silverware, domestically and in Europe, for FC Porto, Chelsea, Inter Milan and Real Madrid, his CV is impeccable which is why he is one of the most successful managers of his generation. Also, his presence will will lift the club and the fans into some much needed positivity, after a poor season where United are likely to miss out on a Champions league spot. Nevetheless, we better be ready for the baggage and drama that comes with him. His recent spell at Chelsea with the sheer volume and variety of drama is going to be a cautionary tale for the United board. From the Eva Carneiro saga to Diego Costa and his angry bib removal, there has barely been a week of this season in which Mourinho did not prominently and negatively feature in the media. Old Trafford will be turned into a circus, a very intense one, given the forensic level of coverage paid by the media. We have to ask ourselves, will it be worth it? Likewise, his preferred style of play is not suited for United's ideals; using homegrown talent and playing lightening quick, attractive, attacking football. 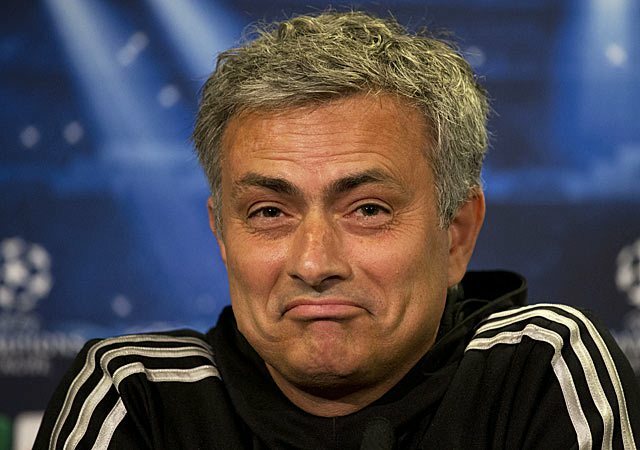 Mourinho is notorious, particularly during his first tenure at Chelsea and Inter Milan for grinding out 1-0 results, playing a more cautious game or 'parking the bus' as its popularly referred to as. However, in recent years Mourinho has proven he can be a little adpatable and play a more attacked minded game. His Real Madrid side with superstars like Ronaldo could easily beat any team 4-0. Moreover, for the first half of last season, Chelsea played some nice football, with Hazard and Fabregas at their skillful, silky best. So maybe, just maybe, Mourinho will adapt slightly for the fans exepectations for how Manchester United should play. Overall, despite his faults and the criticism he endures, I really like Mourinho. Not so much his preferred style of football but his mystique, the charisma, the unorthodox personality, his memorable quotes and so forth. A little like Sir Alex. In spite of this, we must acknowledge that after the train wreck of Moyes and the inconsistency of Van Gaal, this has to be right. Manchester United is at a turning point in its long, eventful history. We are three seasons where we have have mounted a serious challenge for the title, nowhere close as a matter of fact. United have to start gaining ground soon or else it will fall behind its rivals, if we don't then we could experience a silverware drought that Liverpool experienced during their decline after their last title win in 1990. Or to use an example closer to home United could see a repeat of history where it could go into a coma post-Ferguson in a similar manner to how it went dormant post-Busby. Mourinho would be our last chance to resusetate ourselves from this coma we currently find ourselves sinking into. Whether the special one would be right for this special club is yet to be seen. If he did come, two things would be certain. Firstly, things would get way more interesting at Old Trafford. Secondly, his appointment would bring more questions than answers.